YOU GUYS! 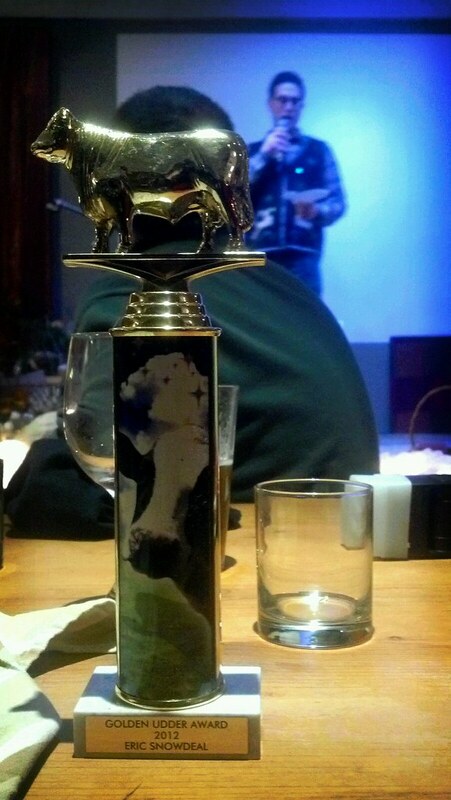 I WON A GOLDEN UDDER AWARD! it’s a long story. yes, i realize it’s not a dairy cow. BUT STILL! and the best part? 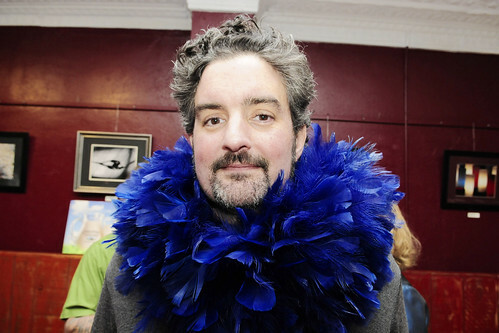 i was i was wearing a fabulous boa when i accepted the award at the organic valley marketing holiday party. my only regret was being rendered literally, and uncharacteristically, speechless. and, wow, it’s totally weird how the flash makes my hair look gray! Previous Postin the court with a crimson king.Next Postme and H.R. from bad brains and A Perfect Moment at saint andrew’s hall. I think those wearing boas tonight won all the prizes…and we looked fabulous doing so!